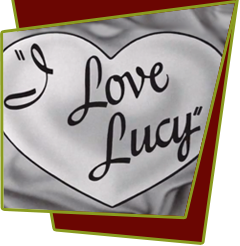 The characters of Lucy and Ricky Ricardo are introduced, living in a high-rise building in Manhattan. Ricky is a Latin bandleader, and Lucy is his ambitious wife. Lucy learns that Ricky is up for a big television audition, and she wants to be in the show. Eager to get ambitious Lucy out of the way, Ricky sends her on a bogus errand. When Pepito the Clown is injured on a bicycle rehearsing the show, Lucy replaces him at the audition. Special Notes: Lucille looks much different from the Lucy Ricardo we will come to know. Her hair is shoulder-length and free-flowing; she is also five months pregnant and huge, despite loose-fitting clothing. After the pilot, the characters' original last name, Lopez, was changed to Ricardo to avoid confusion with band leader Vincent Lopez. Much of the dialog from this script will be used later for the I Love Lucy episode "The Audition" in the 1951-52 season. It will later be decided that four series regulars are enough for the sitcom, and Jerry Hausner's part as Ricky's agent will be switched from a recuring character to an occasional guest appearance. One scene in the show is based on lucy's radio show, My Favorite Husband Episode #80 ("The Wills"). Bloopers: Right before Ricky gets up, a shadow quickly passes by the dresser in front of his bed. As Ricky tries to open the door to the bathroom he shakes the whole wall of the bedroom.